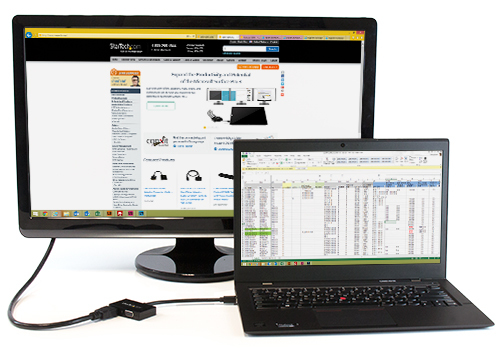 This travel adapter lets you connect your mDP enabled Ultrabook™ or laptop computer to any VGA or HDMI® display. 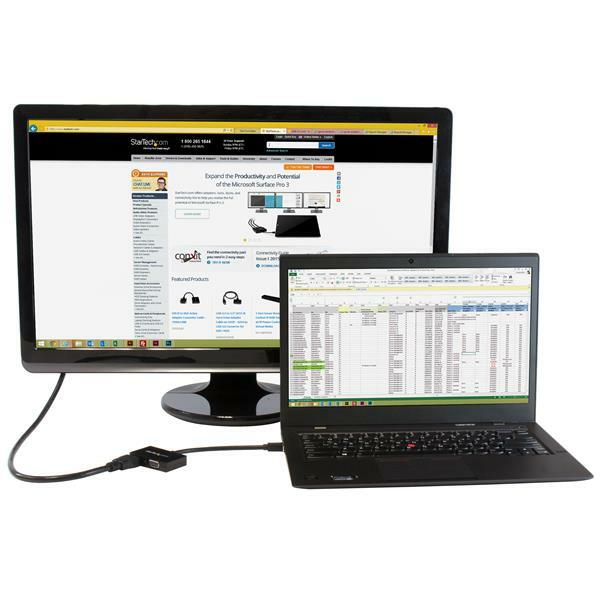 The 2-in-1 Mini DisplayPort adapter is the perfect accessory for any of your Microsoft® Surface™ Pro devices equipped with mDP. Why carry multiple adapters when you only need one? 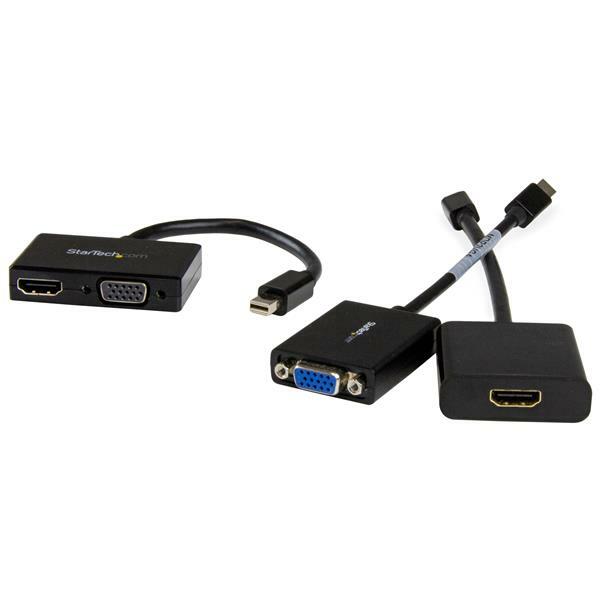 Instead of keeping two different adapters on-hand, the MDP2HDVGA mDP travel adapter offers both VGA and HDMI outputs, so you’ll be able to connect from your laptop mDP output to any modern boardroom or classroom display -- an ideal plug-and-play solution for BYOD (Bring Your Own Device) applications at the office. 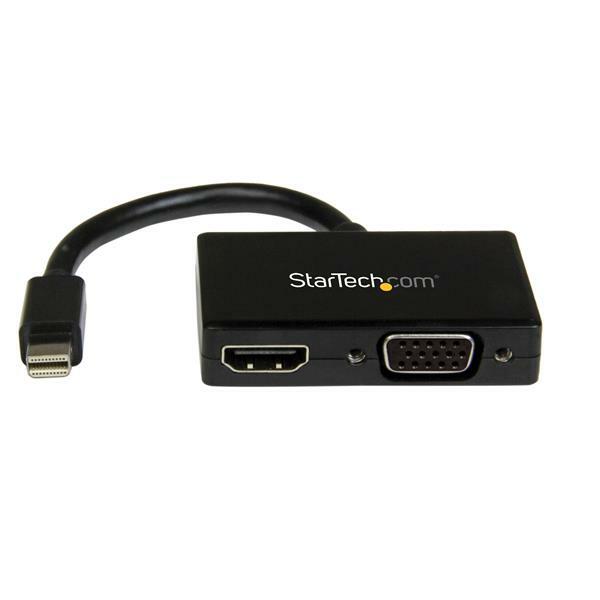 Plus, because the converter supports video resolutions up to 1920x1200 or 1080p you can convert a Mini DisplayPort video source to HDMI or VGA without sacrificing video quality. The travel A/V adapter maximizes portability with a small footprint and lightweight design. The convenient design ensures the adapter is as portable as your laptop, fitting easily into your laptop bag or carrying case and eliminates the need to carry more than one adapter. With this adapter you can walk into virtually any boardroom ready to present, making a great first impression, and saving you the embarrassment of having to rummage through your bag looking for the right connector. 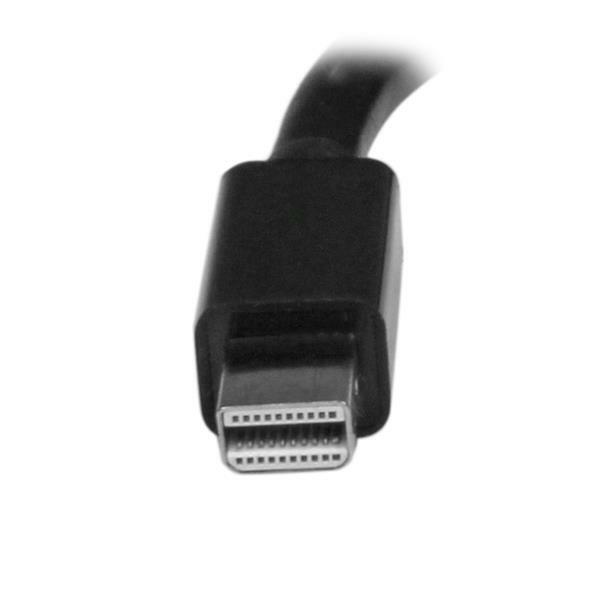 The 2-in-1 converter is compatible with the Intel Thunderbolt port on your computer and installs easily with no software or drivers required. 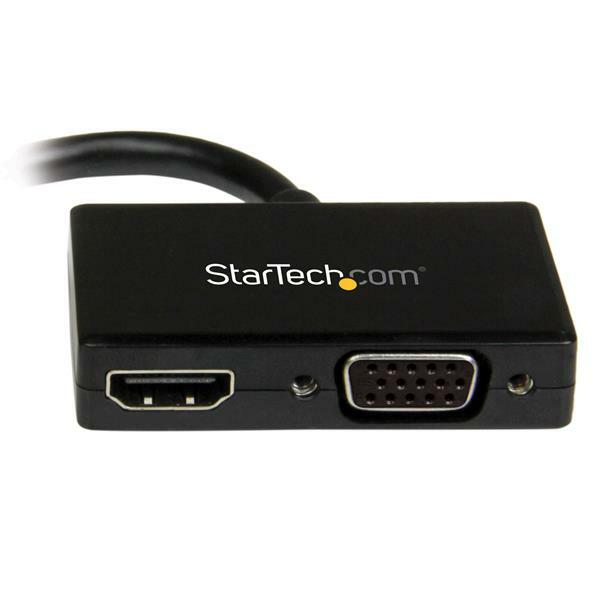 The MDP2HDVGA is backed by a 3-year StarTech.com warranty and free lifetime technical support. Note The HDMI port is a passive port. 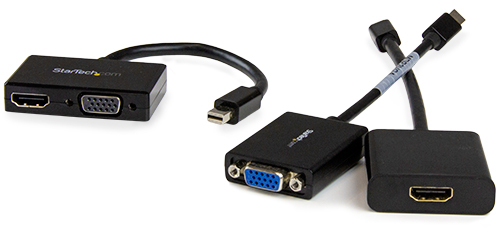 The VGA port is an active port.